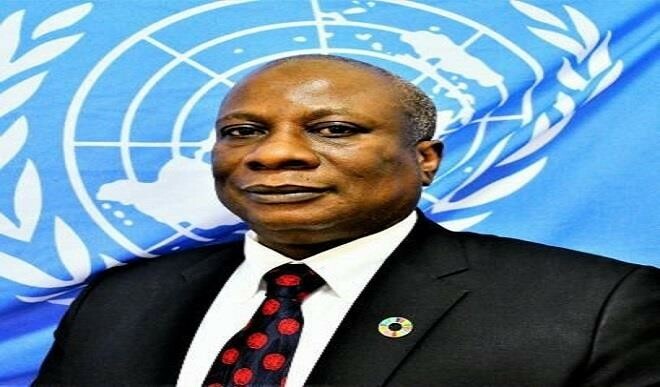 The United Nations Humanitarian Coordinator in Nigeria, Mr. Edward Kallon, has expressed dissatisfaction over the interruption of aid delivery to tens of thousands of internally displaced people in Rann, a town in eastern Borno State about 10 kilometers from the border with Cameroon, following a deadly attack by a non-state armed group. The interruption in the delivery of humanitarian assistance to Rann is the direct result of an attack that started at dusk on 14 January 2019 on the military base, and continued into the next day. At the time of the attack, an estimated 76,000 internally displaced people were living in Rann. Kallon, on Friday, claimed a medical clinic, warehouses with humanitarian supplies and accommodation for aid workers were looted and destroyed in the attack, and the market and shelters in the camp were burned down by the attackers. He said several civilian fatalities have also been reported, although the total number is not yet known, and thousands are reported to have fled to Cameroon. According to him, Rann is presently inaccessible to international humanitarian organisations both by road and by air. “The attacks on Rann, that are increasingly frequent, are having a devastating impact on the civilians taking refuge in this isolated town and severely affecting our ability to deliver life-saving aid to women, men and children in need,” said Mr. Kallon. “This attack has spread fear among an already vulnerable population, and humanitarian assets were also targeted. I urge the Government of Nigeria to protect civilians, including aid workers,” Mr. Kallon concluded.